Becoming a homeowner in California is one of the most exciting and potentially stressful things you can do. There’s a lot to learn and a lot to do, which can leave quite a bit of room for mistakes. The home buying process is an emotional experience that is personal for each buyer. Just remember that when your emotions are involved in a purchase, you might end up skipping or overlooking certain details. Here are some suggestions to keep in mind during the process. What the bank says you can afford and what you know you can afford or are comfortable with paying are not necessarily the same. If you don’t already have a budget, make one. If you end up looking at homes that are outside your price range, you can put yourself in the dangerous position of trying to stretch your budget beyond your means—or cause you to feel unsatisfied with what you can actually afford. It’s possible that while creating a budget you discover you can’t afford the type or size of home you initially desired and that you should reduce monthly expenses and/or increase your income before you even start looking. When calculating this figure use a mortgage calculator, easily found online, to research current interest rates. This will give you an estimate of what your total mortgage payments will be. You should plan to be present during the inspection. Your agent should be right there with you the entire time. Chances are the seller’s agent will be there, too, to help get any quick answers the inspector might need. Block off the entire morning or afternoon. Home inspections take time and you don’t want to rush through it. During this time, follow along as much as you can. Take notes if needed. Ask questions you feel are necessary. Your dream home might appear to be move in ready, but an inspector will cover features of the house such as the roofing, electrical, plumbing, HVAC, insulation, and ventilation. The inspector will also review structural features of the home and may unveil issues that are not readily noticeable. Once the inspection is completed, the home inspector will provide the buyer with a report suggesting any improvements or repairs deemed necessary to bring the home up to current standards. Home inspections may often reveal problems with a home that could be pricey to fix. Have you been tempted to apply to a “get multiple quotes from different lenders” website? Don’t give in to the temptation. These organizations often sell your information to dozens of different mortgage brokers who will continually contact you for weeks trying to convince you to finance with them. That’s probably not the experience you were looking for when you started researching California home loan options. So, do your homework and find a few reputable lenders to work with (like Golden State Mortgage) instead of falling prey to the gimmicks of information brokers. You’ll want to take all the time you need to budget out your next few years. Planning for payments, renovations, and repairs will make a huge difference in your long-term success as a homeowner and help prevent unexpected hits to your budget. Furniture, appliances, flooring, paint, carpeting, decorations, curtains, etc. All these costs can add up very quickly, and many new homeowners find themselves unprepared. Some of these costs will surface (or resurface) long after the entire mortgage is paid off, like utilities and property taxes. 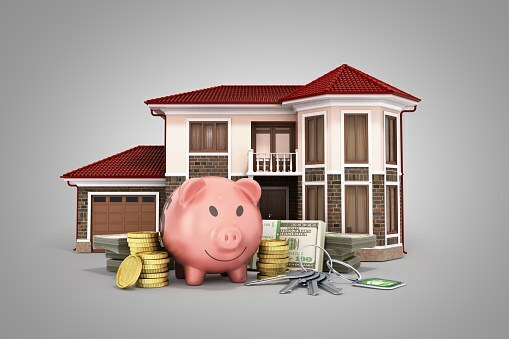 Yes, there are some money-saving tax deductions you can claim as a homeowner; however, those deductions aren’t quite as significant as advertisements would have you believe. Deductions won’t offset interest on the mortgage loan or the other basic costs of home ownership.